Ever receive mail that you don't want to read immediately? 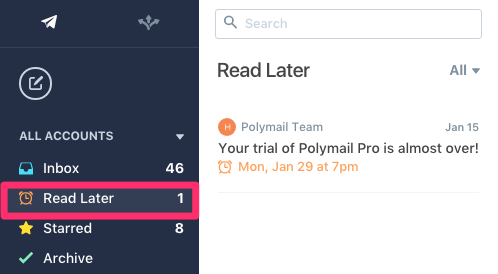 Polymail allows you to snooze your email so you can read it whenever is more convenient. 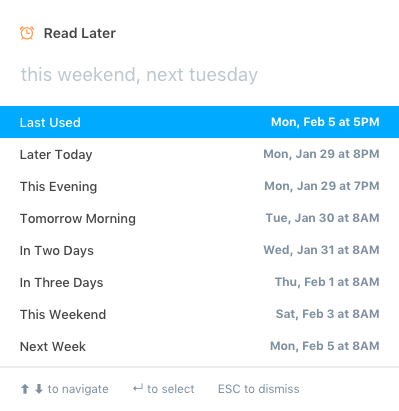 Our Read Later feature allows you to specify a date and time you would like to see a specific message again and removes it from your inbox until that time. 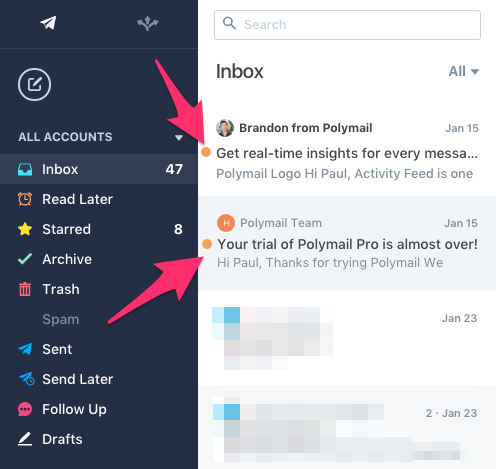 When that day and time arrive, we put it back in your inbox with an orange dot next to it so you can see that it's back! To use Read Later, you can click the little clock icon at the top of your message or use your Read Later shortcut. Once the email has been scheduled, it will be moved from your Inbox to the Read Later folder.